Synopsis : In the dazzling summer of 1926, Ernest Hemingway and his wife Hadley travel from their home in Paris to a villa in the south of France. They swim, play bridge and drink gin. But wherever they go they are accompanied by the glamorous and irrepressible Fife. Fife is Hadley's best friend. She is also Ernest's lover. Hadley is the first Mrs. Hemingway, but neither she nor Fife will be the last. Over the ensuing decades, Ernest's literary career will blaze a trail, but his marriages will be ignited by passion and deceit. 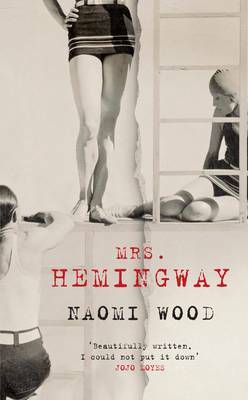 Four extraordinary women will learn what it means to love the most famous writer of his generation, and each will be forced to ask herself how far she will go to remain his wife...Luminous and intoxicating, Mrs. Hemingway portrays real lives with rare intimacy and plumbs the depths of the human heart.